Karl McCartney(Lincoln): To ask the right hon. Member for Meriden, representing the Church Commissioners, what steps the Church of England is taking to tackle anti-semitism. 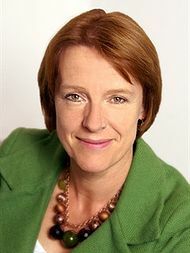 Dame Caroline Spelman: The Church of England takes anti-Semitism very seriously and is supporting the work of the Chief Rabbi and the Holocaust Memorial Trust to counteract the increase in reported anti-Semitic incidents over the last year. Last week, the Archbishop of Canterbury and the Chief Rabbi launched ‘In Good Faith’, a twinning arrangement between rabbis and priests in local neighbourhoods around the country. It is in its early stages, but it will involve a commitment to work together to counteract anti-Semitism.